Woke up early and grabbed some breakfast. Nashville is famous for its NASCAR track amongst many other things. It is also the capital city of Tennessee. But sight seeing here wasn't in my plan, so I just drove out of the city. This would be one recurring theme in my entire journey. A lot of great places that I chose to skip due to lack of time. One would probably need a full year to see all the places to do any sort of justice. But today was another day of long drive. So no stoppages. 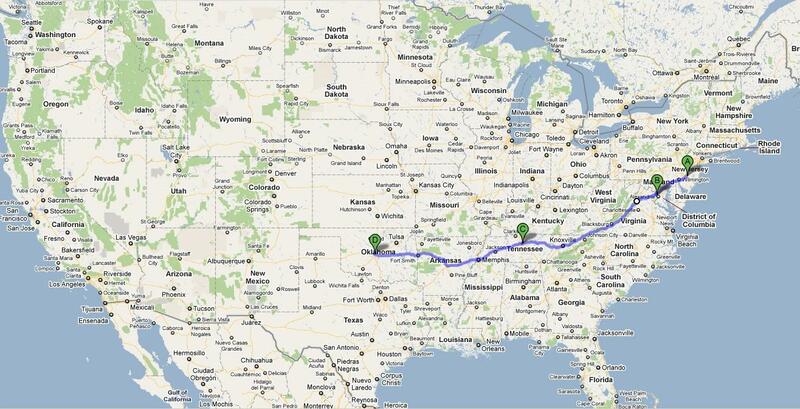 Destination Oklahoma City, which was almost 676 miles (1088 km) and 11 hours away. I continued on I-40, west bound. Soon I crossed R. Tennessee, the first of the great rivers.This is a tributary of the Ohio River. I headed towards Memphis, which is right on the banks of R.Mississippi. The Memphis skyline is pretty impressive and so are its buildings. I had not researched in depth on Memphis because I knew I'd be just passing by. So I was not ready for what I saw next. 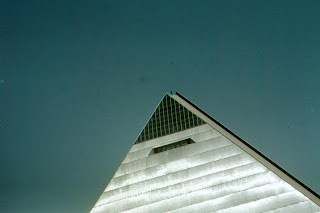 Straight out of nowhere, I came across the world's 6th largest pyramid, the 321 ft high glass structure called The Pyramid Arena (see with proper photos). It took me by such a surprise and I was so shocked at its size and architecture that I didn't even realize that I should take a snap of it. My half attempt in the last minute missed the building completely and I managed to get only the top portion. But the sight of it is forever etched in my mind. After Memphis it was the crossing of the R.Mississippi. It was a milestone for me personally. As a kid I was introduced to the Mississippi and Missouri in 6th grade, the 2 greatest rivers in N. America. I always felt an awe when I heard those names. Some sort of mystique. And today here I was, crossing it. This river is the 4th longest river in the world and is 3902 miles (6275 km) long. The longest river, Nile, is only about 375 km longer than the Mississippi. The Mississippi irrigates almost 3 million sq km of land, which is the fifth highest in the world. 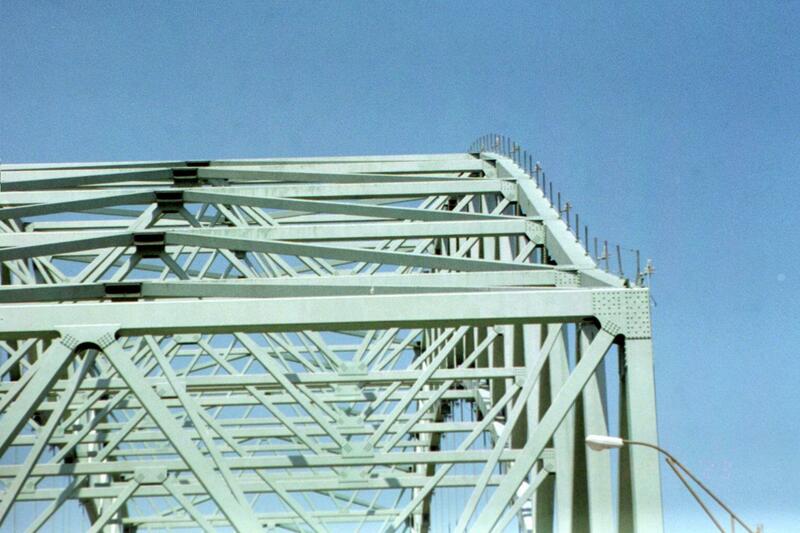 The bridge built across it on the I40 is called the Hernando de Soto Bridge, it is almost 6km long and is awesome. I later heard that one should see the lighting on it at night. Supposed to be breath taking. But something I was not blessed to see. Another tragedy happened when I tried to snap it with my camera. You will find much better snaps in wikipedia. I just drove on across it and thus entered the state of Arkansas. Arkansas is not a very big state. I passed the capital city Little Rock without stopping. I practiced taking snaps while driving. I couldn't afford more mess ups. I knew I had screwed up the previous snaps, taken in the point and shoot mode with my eyes on the road. 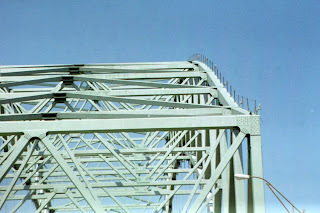 I soon mastered the art of bringing the camera to my eye while driving and taking the snap. All this without taking eyes off the road. Then I got more adventurous. I managed to pull out my binoculars from the backpack in rear seat and brought it to my eyes. I almost hit the brakes on reflex. The 50x zoom made me think I'm going to hit the car in the front and its bumper was almost on mine. Enough shock treatment for the day. Luckily the gap between cars was quite far enough, so no damage done. The snap below was taken just before my binocular stunt. Now I focused on driving. Driving properly I mean. And then I noticed the flowers. They were all over the place, on each side of the road, the whole place was painted yellow. I had seen such snaps in National Geographic, but this was for real. I still smile at the thought. 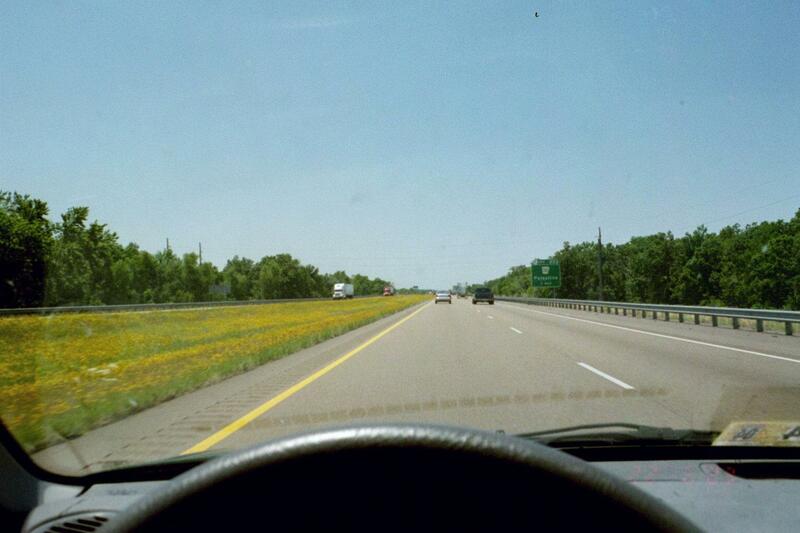 Then I was almost at the border of the state, and took the exit to Fort Smith. I had read about the Museum here and so gave it a quick visit. 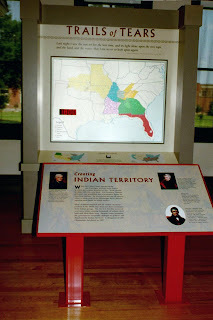 The Museum was mostly about the Trails of Tears, the pain, suffering and massacre suffered by Native American Indians at the hands of the US government. About how they were repeatedly promised their own land and cheated out of it. They were all driven (mostly at gun point) and false treaties from one place to another. 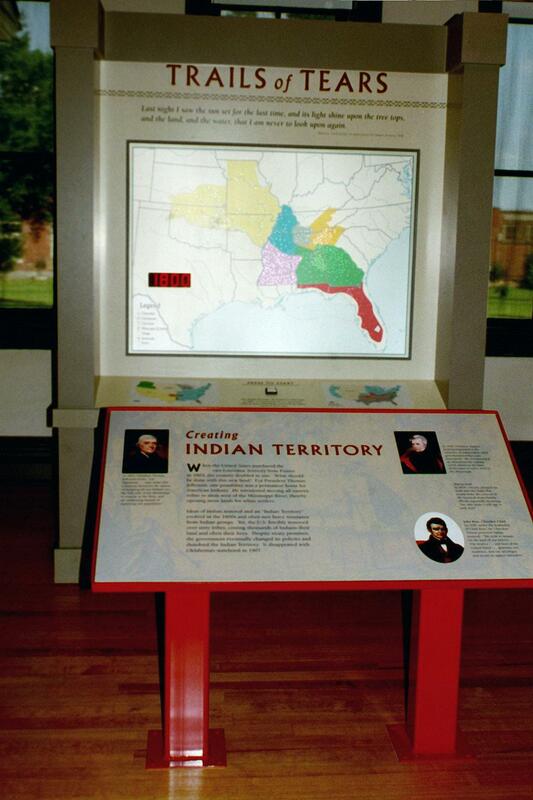 Finally a section of Oklahoma was given to them and that is where they were forced to settle. Imagine, an entire nation of people and a great civilization herded to one small area. 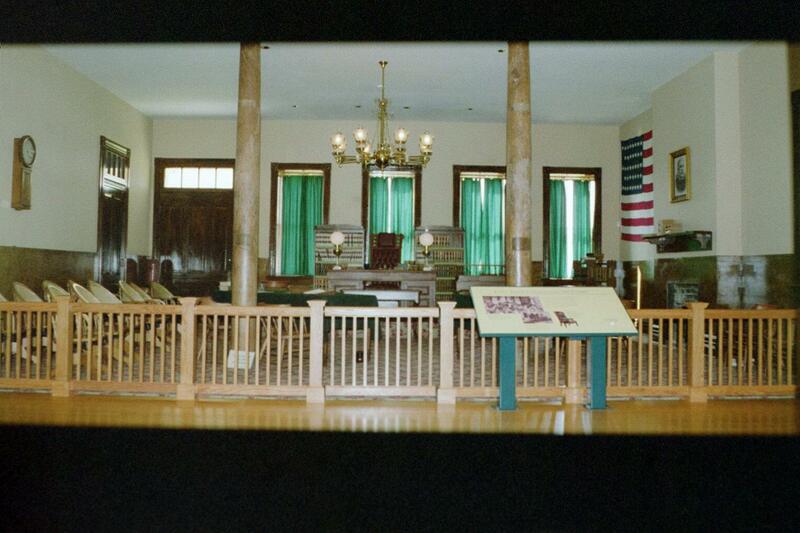 The fort here lies on this trail of exodus and has been converted to a Museum today. 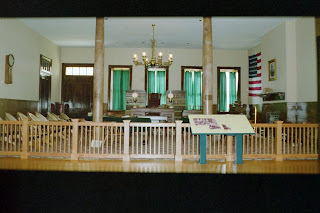 Inside, I could see the court room, the prisons and various artifacts belonging to that age. I walked out of the museum feeling sad about the injustice done to the Native Indians. You could feel the pain and suffering just by strolling through the collections. Then I took a break to stroll in the park next to the building and this path led me to the banks of R. Arkansas. Spent a few lonely minutes there, deep in thought. I was the only one in the park or by the river. Like one usually does, I decided to taste some water, drank one gulp and walked back towards my car. A few steps later I saw a board, "Do not drink water from the river. Has high mineral content". Gulp! Its been 8 years since, nothing has happened. So guess its okay. Soon I was back on I-40 and thus exited the state of Arkansas. Oklahoma state was next. For whatever reasons, the condition of I-40 was horrible throughout the state of OK. I almost thought that the Native Americans who mainly settled in OK, were being given a raw deal to this day. But later I learned that a new road renovation project was on the cards. I drove through more farms on either side and also over the bridge built over Lake Eufaula. The lake was huge and I couldn't even see the other end. I drove on towards Oklahoma city, directly into the sunset. One of the many wonderful sunsets I would get to see driving westward. 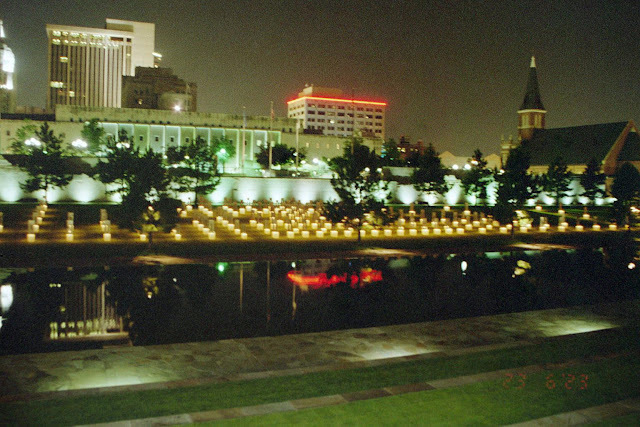 It was dark when I reached Oklahoma City, the state capital. Post dinner and having checked into another Motel 6, I headed to see the National Memorial. 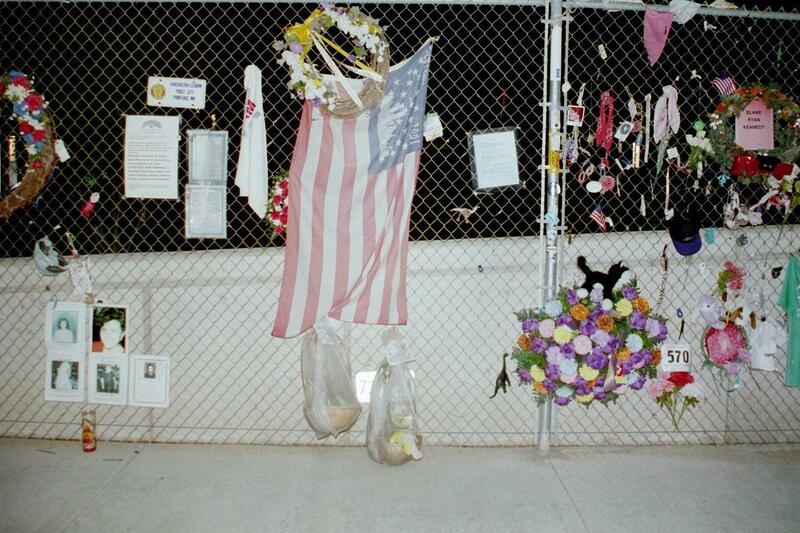 Before 9/11, this place was witness to the most horrific bombing attack in the US. Do read the details here. Over 168 dead and 680 wounded. There was a day care with small children in the building causing many toddler deaths. Today the building with a gaping hole is preserved as is, and the place around it has been converted to a park and a National Memorial with lots of lights that are switched on every single night. Many items of tribute are found lined all over the place. It was another solemn moment in the day for me. What could have been the state of a person's mind to cause such a senseless horror. 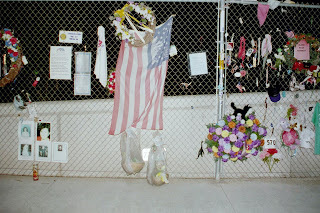 The photos of the dead, smiling at me from their happier days is a moment that I will carry with me all my life. I hit bed once back at the motel. 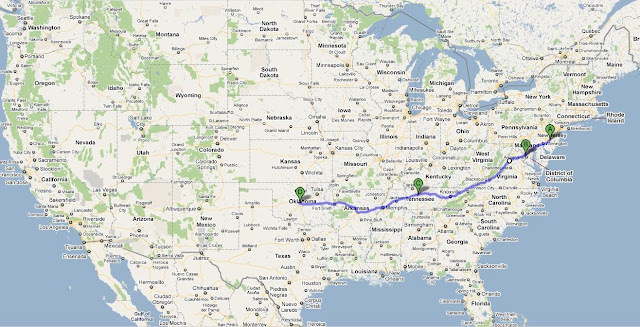 Tomorrow would be the longest drive of the trip, destination Arizona. The complete set of photos from day 2.